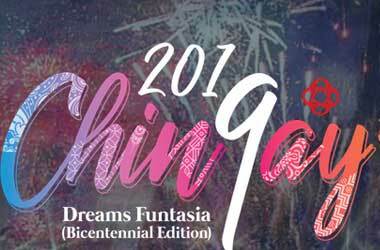 Chingay means the art of costume and masquerade in the Hokkien dialect and it is the largest street performance and float parade in Asia. A special edition of Singapore’s unique multicultural street and floats extravaganza to commemorate the Singapore Bicentennial. Created by three Singaporean multi-disciplinary artists of different races, it illustrates the history of Singapore from a humble fishing village to today’s modern, progressive multi-ethnic country. The completed painting, digitised and enlarged into a 270-metre long artwork, will be brought to life at the parade by 240 performers interspersed within the painting. Exciting performances from a diverse representation of cultural and interest groups – acrobatic stunts by stilt walkers and freestyle lions on high poles. A 49m LED giant flying balloon dragon is making its debut at the parade. There will be cheerleaders, unicyclists, rhythmic gymnasts and LED Kites enthusiasts, among others. Riders on Go-Karts, Harley Davidson bikes, Vintage cars and Vespa sidecars will showcase their speeds and styles. Hundreds of young people, joined by thousands of performers from previous performances, present a futuristic finale; celebrating Singapore as a nation, its unique identity and distinctive DNA. A stunning display of pyrotechnics – as usual. $15 for a 10 minute ride, pre-registration required. The Chingay 2019 Carnival : 15th to 17th February, 3.00 p.m. to 10.00 p.m. @ the open space behind the Singapore Flyer. A whimsical wonderland with a variety of activities – different zones with family-friendly activities, artistic installations and F & B. On Sunday, 17th February, the F1 race track will be turn into a huge adventure playground where competitors (of all ages) can win special giveaways and attractive prizes. The night concludes with a movie under the stars, on the F1 race track. Complete a series of five 4m high inflatable obstacle course stations in the shortest time possible to win prizes. Pre-registration required, limited slots available and allocation on a first-come-first-served basis.